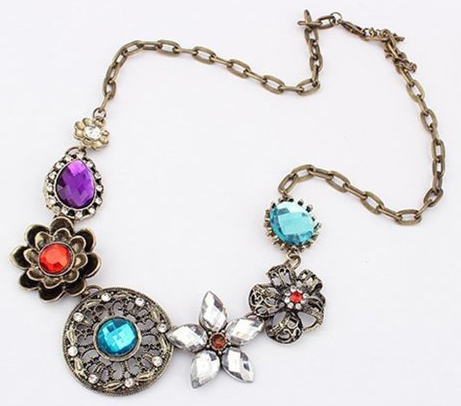 Vintage Womens Crystal Flower Necklace Only $3.29 PLUS FREE Shipping! You are here: Home / Great Deals / Amazon Deals / Vintage Womens Crystal Flower Necklace Only $3.29 PLUS FREE Shipping! This Vintage Womens Crystal Flower Necklace is Only $3.29 PLUS FREE Shipping and it would go with so many outfits. With it’s versatile colors and style, it can make even a tank top look dressed up! Get yours NOW!